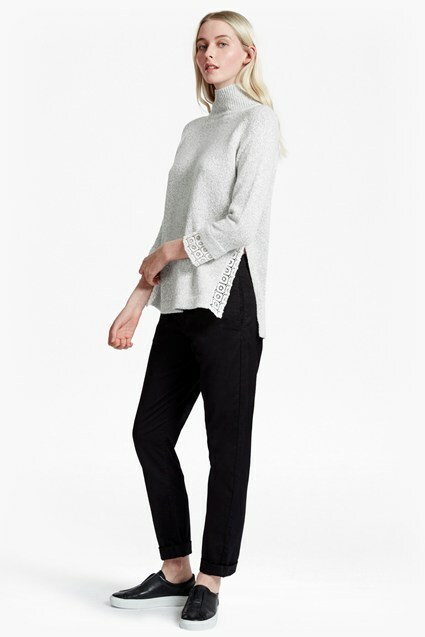 Add a delicate twist to your knitwear collection with the Valerie Knit Lace Jumper. The cosy oversized jumper is finished with pretty lace inserts along the elbows and sides, bringing a dainty detail to the cosy piece. The relaxed jumper features a flattering V-neckline and long sleeves, perfect for pairing with slim fit trousers for work or denim on the weekend.